If you are looking for a ski resort that has a GIANT Apres scene, and also miles of terrain then Ischgl is your place! 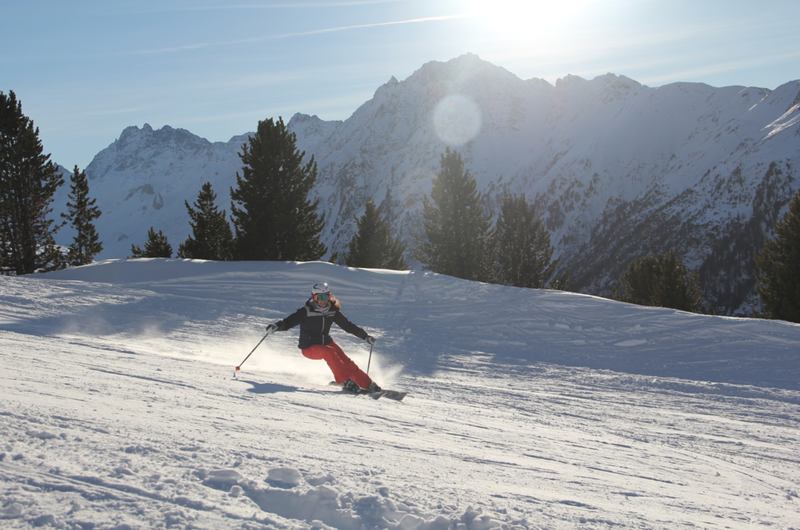 It is situated just the other side of St Anton, without the snooty price point. It takes about 1hour from Innsbruck airport to get to the resort, so the transfer is very quick and easy. I have been going to Ischgl since I was about 10 years old, I had instructors from the Ski School for many years until I became a ski instructor myself and taught for a season. That's how much I love the resort! I mean it has a Pacha just like Ibiza, and Burger King for when you're drunk! The resort backs on to Switzerland, so you can literally take a lift up and ski over a peak and into Samnaun which is part of Switzerland which almost doubles your terrain. In terms of hotels, I always stay at Fliana, they offer half-board and are NON SMOKING! Which is amazing as most places in Austria is still smoking. The hotel is family run, and they are just so friendly! Fliana is impeccably clean and efficiently run by incredibly friendly staff, nearly all of the staff are fluent in English. The hotel has recently put a hot tub on the roof, which is open from 3.30-8pm daily for people to relax in and watch the skiers come down the valley run! The hotel also offers a spa offering multiple treatments, as well as saunas and a swimming pool. Majority of the resort and mountain has excellent food, and considering the hotel offers half-board and the dinner is fabulous - here are just a few of my mountain / village favourites to visit when I am there. Salt & Pepper, in the village for a pizza. Allegra, in the village for American Bistro style food. Pardorama, on the mountain, table service is the best option, ranges from schnitzel to pizza. Paznaun Thayer, on the mountain, self service, rotisserie chicken to pizza. Salaas, best place for a view and champagne! Alp Trida, now this is one of the only places that doesn't serve chicken, but offers mostly everything else! Heidelberge Hutte, bit of a mission to get there, and you need to be dragged by a skidoo but if you want authentic Austrian food then this is a must! Schatzi, in the village for a CRAZY Coyote Ugly apres ski! Kuhstal, in the village for a very Austrian apres ski. Champagne Hut, in the village for a more classy apres ski. Pacha, for a wild night out! Freeride, for a very casual but table dancer type vibe. Winkler for speakeasy style cocktails. Champagne Hut, for evening parties too! Jan 26 Keys to the Kingdom, The Magic Kingdom!